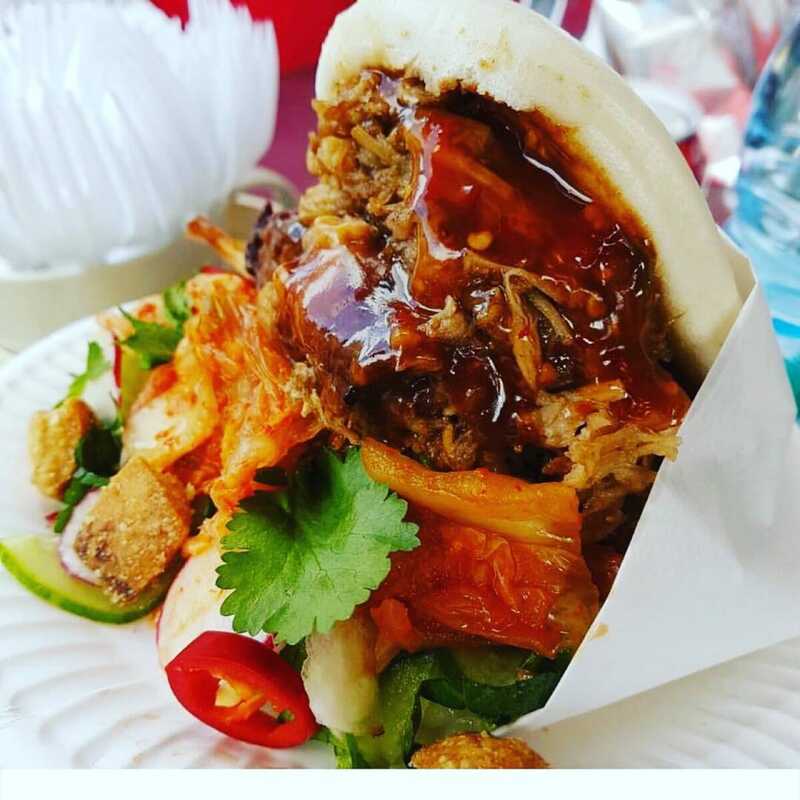 Belly N Bao is a fresh, innovative new street food vendor currently based at Brick Lane Sunday, Petticoat Lane, Hackney Downs Night Market as well as various food festivals around the UK including The Foodies Fest. Declan, the owner, is a firm believer that food does not have to be fancy to be fantastic and for the last 4 years, he and his team have been busy putting smiles on the faces of people who eat their Asian fusion street food. Their goal is to offer them an exciting new way to eat fresh street food which will remind them of their travels or inspire them to undertake some. Simply put, they are passionate about their product and take pleasure in delivering something fast, fresh and delicious that has an element of surprise. 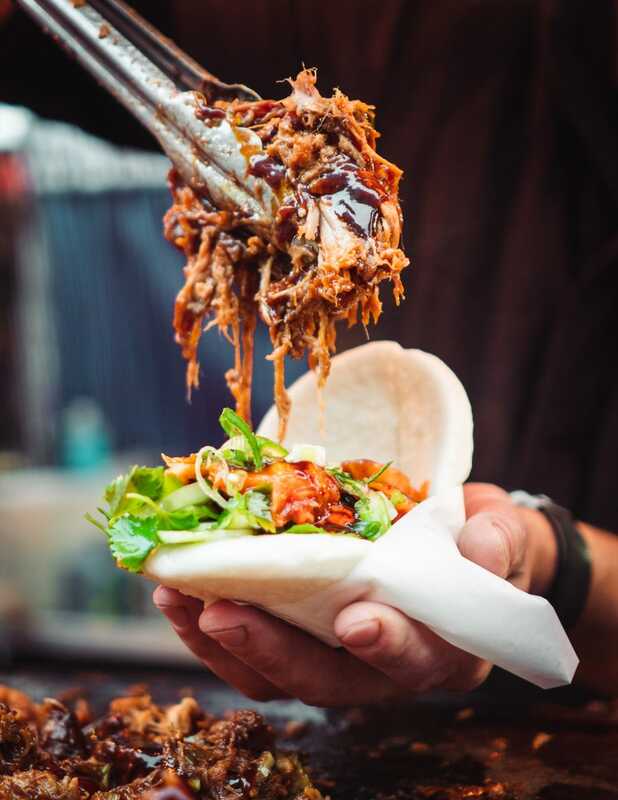 The Sticky Pork Bao is their signature dish - they use British pork, slow cooked for 6 hours in an aromatic Chinese spice seasoning. The pork is then cooked again on a grill until it's perfectly crisp, then glazed in our soy caramel sauce and served in Bao (Taiwanese steamed sandwich bun) with a fresh Vietnamese cucumber, radish, mint and coriander salad before finishing it off with kimchi - it’s pretty amazing. The adventurous can add a little rustic chilli sauce. Other extras on offer are crushed pork crackling, crispy shallots and fresh red chillies. All of the food is served from their awesome market stall which would look great just about anywhere. 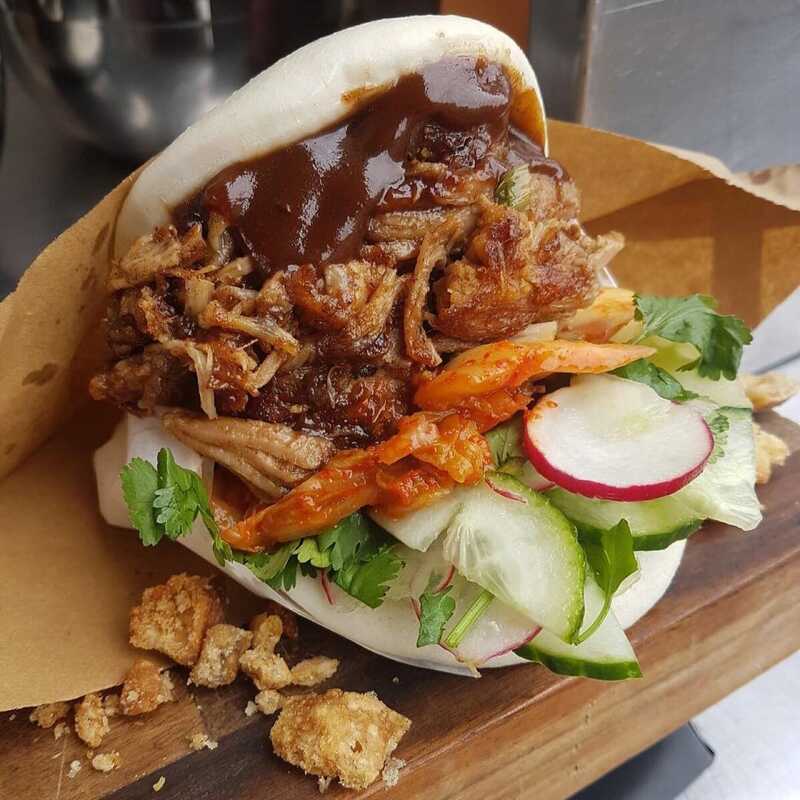 If you’d like to try some of Belly N Bao’s delicious food and have them serve you and your guests at your next event, then book them here on Feast It!